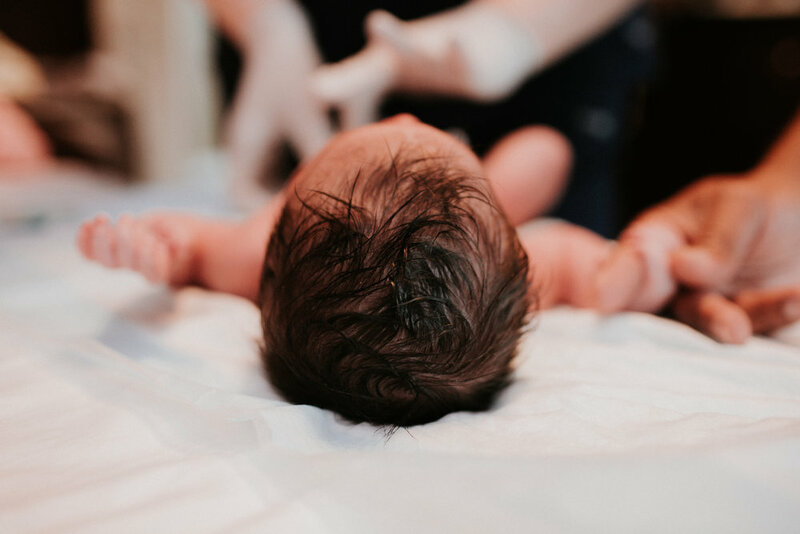 The night before Lucille was born I was asked by a local birth photographer and videographer, Brittany, if I could be on backup for her for one of the mom's she was working with. She had let me know that one of her other mom's was having early labor signs and she was nervous that her two moms would go into labor at the same time. I was ecstatic to accept her request to backup for her and plugged in my un-charged camera batteries and got everything ready for the "what if." 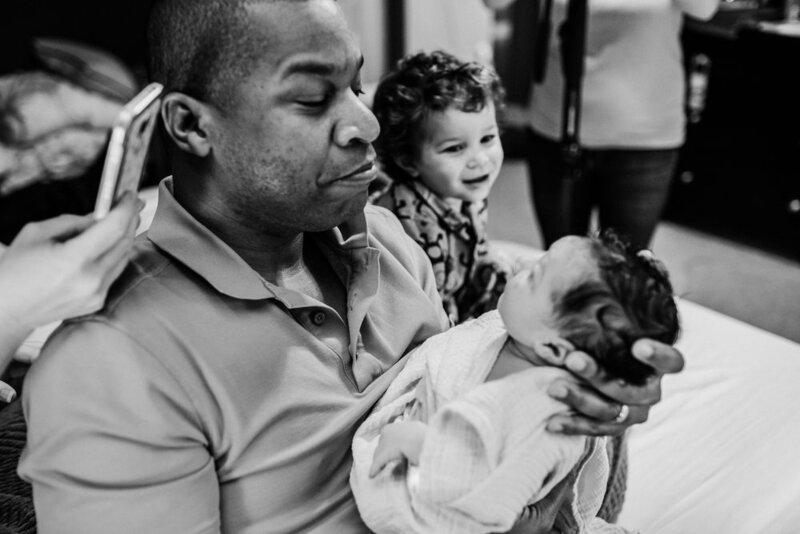 I arrived to the home of the family that was expecting a gorgeous new girl and I got a sense of anxiety. "I never met this family. What if they don't like me. What if I am late. This is her 5th baby...she probably already had it. I already missed it...calm down Vanessa." I rang the doorbell and Mike opened the door smiling and in his scrubs. He welcomed me into their home, introduced me to Karen and they both helped me instantly feel at ease. I was immediately part of their birth team. Mike helped me make coffee while I snacked on my yogurt-breakfast when Alisa showed up. Alisa greeted everyone and we basically ran into each others arms and gave one another a nice long and hard hug. The last time I saw Alisa was the December before at my friend Irene's birth and then at the birth of my own son, Ezra, a year before that. It was really awesome to be able to work with Alisa again. Karen started getting worried that it was 9-9:30 ish and her contractions weren't really that bad. She hoped and prayed that she didn't call everyone for no reason, but Alisa did her best to reassure her that we are happy to be there waiting then to miss the opportunity. Shortly after...guess who walked in...BRITTANY! It was like a twilight zone moment. We both freaked out, I forgot to tell her I ended up at a birth and she thought she gave me the contact info and asked me to be there. It was hilarious. It was our first time meeting and there was no better way than to meet one of your (internet) friends than in the space both of y'all love being. It turns out, Brittany was there to video the labor and birth. 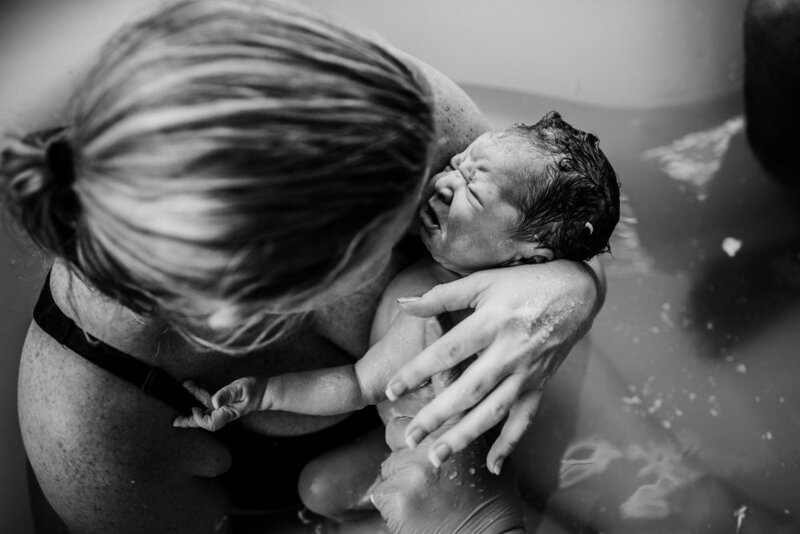 Working with another birth photographer/videographer that you admire in such an amazing birth space was awesome. We worked out angles, goals, areas to sit or stand and it all ended up so perfect. Karens contractions started to intensify. 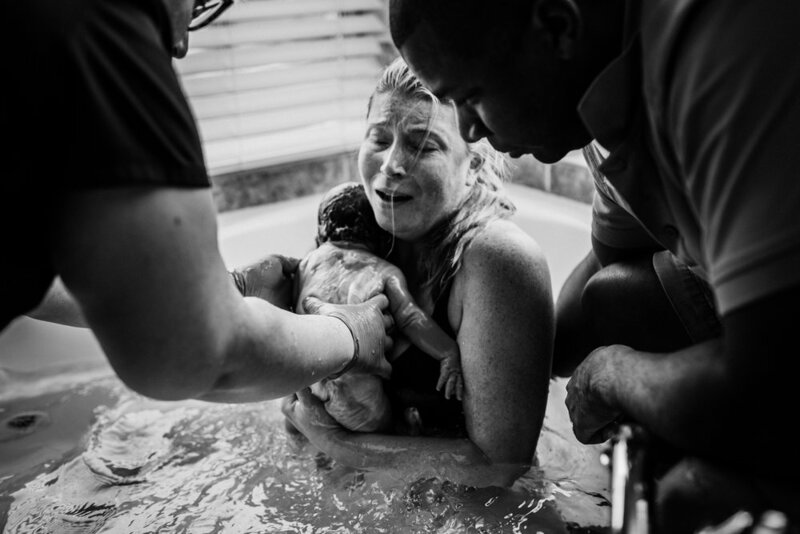 Cindy, the other midwife, kept reassuring Karen when things got hard, that she could do this. She recited beautiful metaphors to help her get through the contractions and surrender her body each time a surge hit. 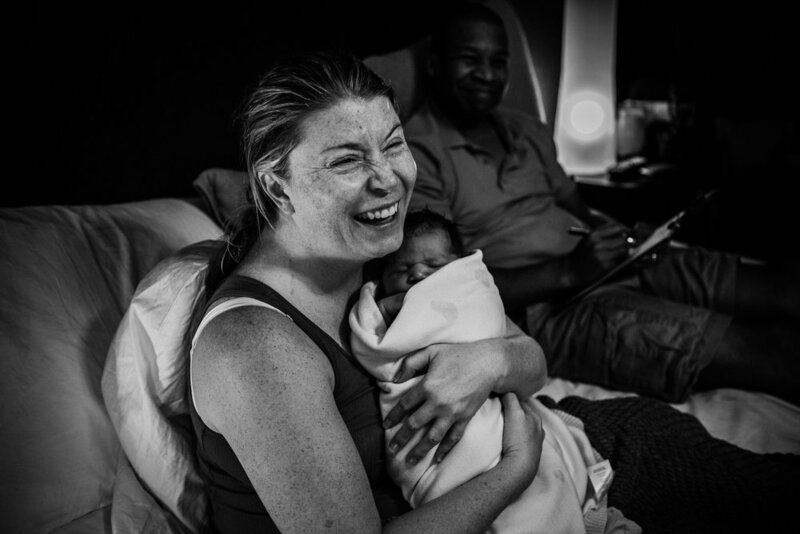 When Karen wasn't having a contraction, stories of labor, births and jokes were being made. It was a happy and wonderful environment filled with passion and love. Cenia, Karen's oldest daughter made her way into the bedroom to support her mom through the intensity of contractions. She watched her power through every surge with awe and admiration and she hardly left her side. There was a point when it was recommended that Karen go ahead and get into the water but she was nervous it would slow things down too much. Cindy encouraged Karen to go ahead and get in because things were progressing wonderfully. Karen got into the tub and worked through those contractions with grace. 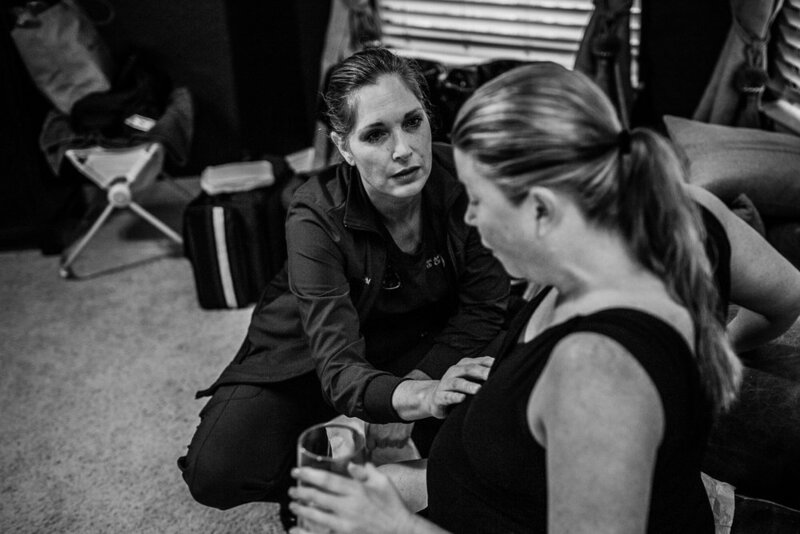 Cenia fed her mom ice chips in between the small breaks of contractions while Mike supported Karen by rubbing her back. 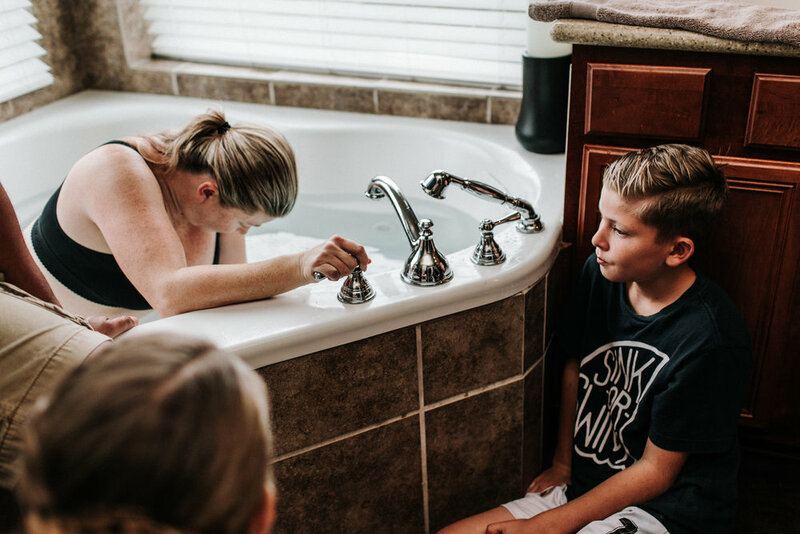 By this time all four children were in and out of the bathroom giving their amazing mother silent support. I was standing on the ledge of a sink, Cindy was taking notes and listening to Lucille's heart beat, Alisa began washing her hands for the delivery and Brittany was working her video magic. The rest happened so fast. I went to snap a picture of Alisa washing her hands, she then rushed herself over to the tub to help deliver Lucille and I followed right after (I am seriously so worried that I was in Brittany's video, I feel awful). She was reciting times to Cindy, who was taking notes. Lucille's head was born with her waters in tact, then her waters broke and Lucille was born into this world and placed onto Karen's chest at 11:13 AM on December 15th. Mike leaned in and kissed the side of Karen's forehead and she sat back and exclaimed, "you did it!" She did. She did it. 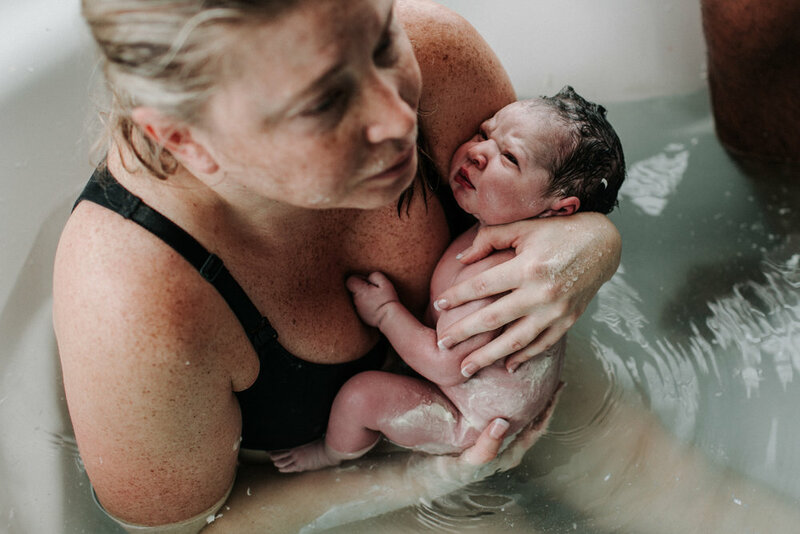 She had an empowering and majestic home water birth. 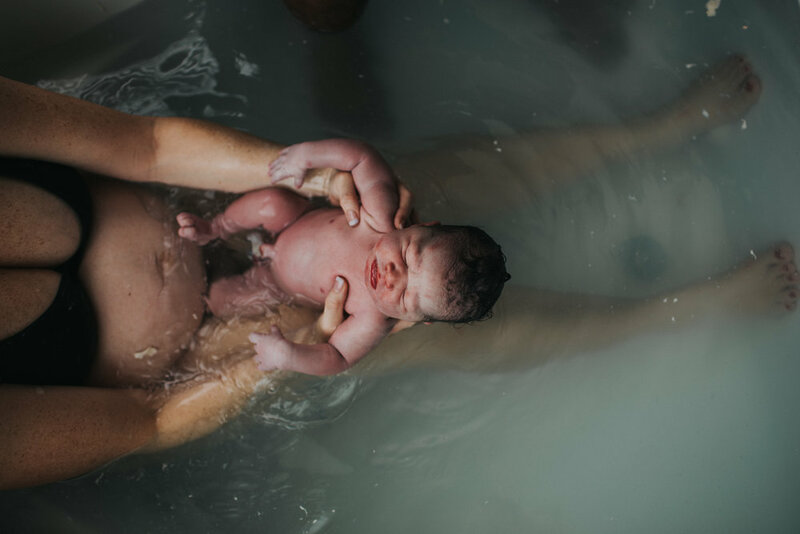 Things slowly started settling as Karen relaxed with her newborn baby in the pool for a little while. She gazed down and kissed the beautiful girl she brought into this world and it was peaceful and serene. Once the cord stopped pulsing, Karen's two older children got to cut the cord together. Alisa then placed Lucille on Mike's chest while they helped Karen to the bed to begin her nursing journey. It was a celebration! Lucille nursed like a professional, everyone settled a little and the commotion ceased. It was really a beautiful birth and an honor to have been there. Initially everyone thought Lucille was 8+ lbs. After being taken to the room she looked so much smaller and started guessing anywhere from 6 - 7 lbs. Turns out...she was definitely 8lbs. 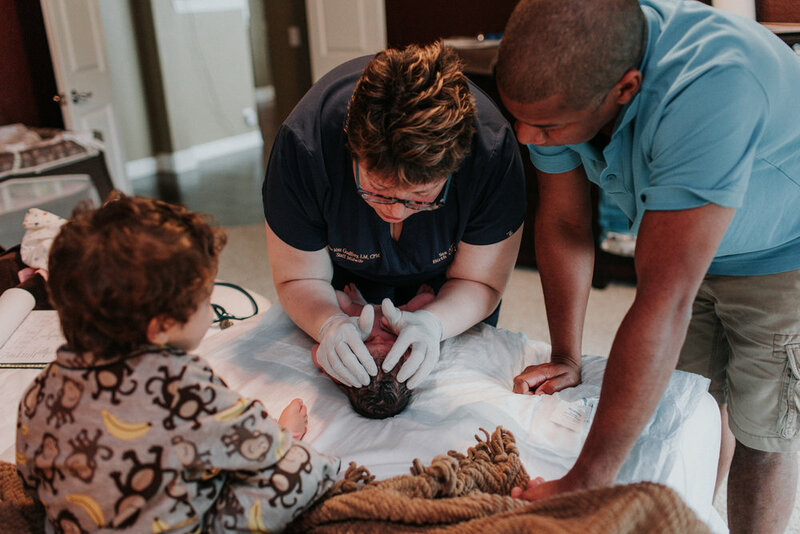 You can find out more about San Antonio Birth Center and their amazing midwives here!